It was a bad weather day in England as 90mph winds and accompanying heavy rains disrupt life and destroy property all across north-west and South Wales. The bad weather rendered 7,000 electricity customers without power in Northern Ireland, and another 3,500 in north-west England. Likewise Nearly 900 homes also lose electricity in South Wales after a high-voltage electrical cable is blown down. Environment Agency has put in place 25 flood warnings and 117 flood alerts across England and Wales. While in Republic of Ireland a 23-year-old woman dies when tree falls on her car in Co Westmeath. 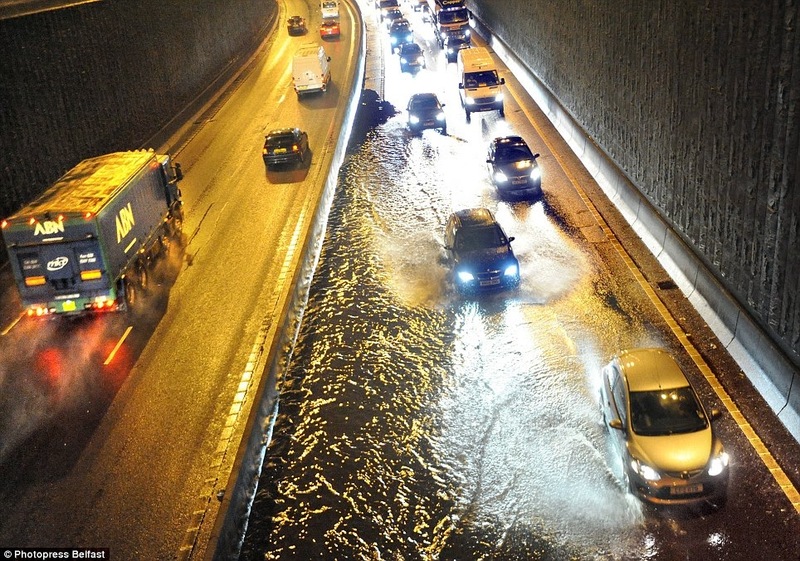 There was flooding on the Westlink road last night in Belfast, Northern Ireland, following torrential rain and high winds that brought down trees.